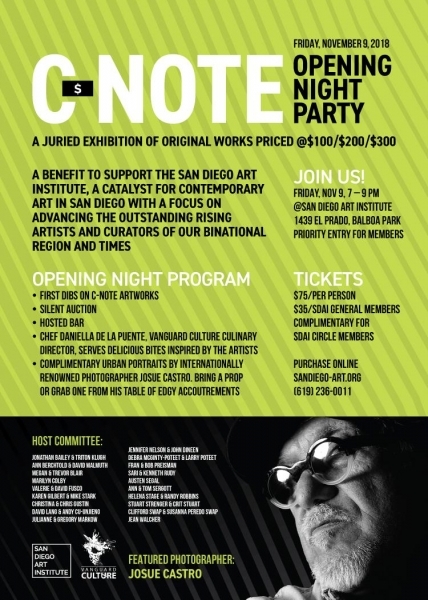 Event Description Join us to celebrate the opening of our C-NOTE Pop-Up Art Sale. This highly-anticipated event will offer attendees first-dibs on over 200 contemporary art pieces that will be available to the general public starting at noon on Saturday, November 10th. 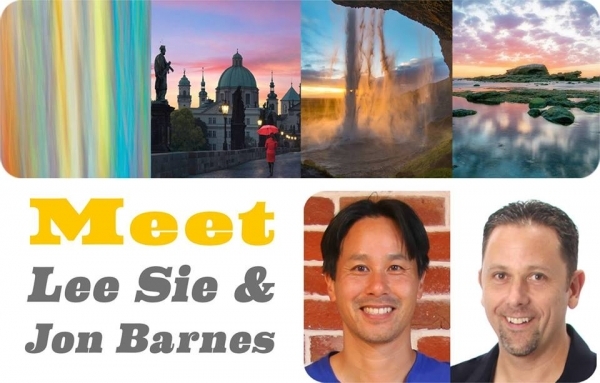 The C-NOTE sale offers collectors an opportunity to discover emerging artists and to purchase from a thoughtfully curated selection of their work for just $100, $200 and $300. (Limit one piece per guest during the opening night.) Opening Night Party tickets are $75 per person, $35 for SDAI members, and complimentary for SDAI Circle level supporters. Ticket holders will also have access to a silent auction and additional interactive experiences at the nexus of art & technology. 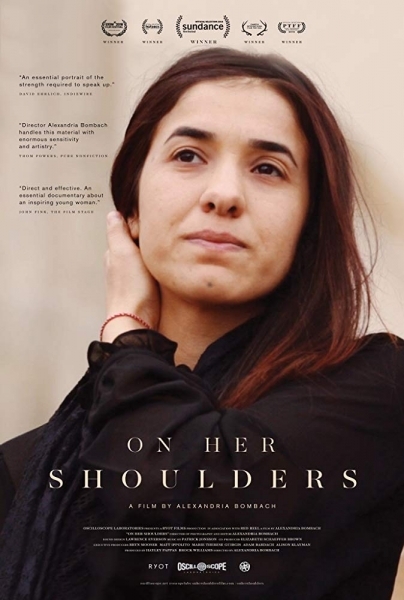 Event Description Nobel Peace Prize winner Nadia Murad, a 23-year-old Yazidi genocide and ISIS sexual slavery survivor, is determined to tell her story. As her journey leads down paths of advocacy and fame, she becomes the voice of her people and their best hope to spur the world to action. Event Description Two kindred spirits -- a young zombie and a blind teen-- inadvertently cross paths and deal with intense past traumas after an act violence brings them together. Event Description THE GREAT BUSTER celebrates the life and career of one of America�s most influential and celebrated filmmakers and comedians, Buster Keaton, whose singular style and fertile output during the silent era created his legacy as a true cinematic visionary.